No one was expecting much of the Vancouver Canucks this year. While the results probably don’t sit well with Canucks head coach Travis Green, he can probably take a few positives away from the season. It was definitely a learning experience for Green behind the bench in year one. He obviously wasn’t happy with the 26th-overall finish, but it was hard to ask for much more considering the roster he was dealt and the injuries that piled up. That being said, he did have more moderate success than his predecessor, Willie Desjardins. The bar was admittedly set extremely low, so Green didn’t have many out-of-control expectations to deal with. Still, he managed to change this group’s identity on the ice, among his other successes during the regular season. Too often under Willie Desjardins, the Canucks sat back and played boring, defensive, passive hockey. Towards the end of last season, watching this team was equivalent to watching a baby sit idly with a pacifier in its mouth, waving around a rattle waiting for something to happen. It was dreadful to watch, and the losing while playing passively must have been even harder on the players. One of the things Green vowed to do when he took over as head coach was to employ a more aggressive playing style. It showed early on, with the Canucks rolling four lines while all players were jumping up on the forecheck. That style was obviously evident during the first two months of the season, when the Canucks were in a playoff spot at American Thanksgiving. Even later in the season, their aggressive play led them to six wins in their final nine games, although Canucks management shouldn’t read too much into that. Thanks to the aggressive mandate, the Canucks had a higher Corsi-for, higher-goals for, and a high expected goals for compared to the 2016-17 campaign. However, this aggressive style led to more shots against. It’s usually a given that aggressive hockey also leads to more chances, and the Canucks definitely gave up their fair share of high-quality shots during the 2017-18 campaign. There were a few reasons for that, including playing style, injuries, and a mediocre defence to begin with. Still, some of Green’s decision-making with his defence are causes for concern heading forward. Where to start on this one? After Alex Edler went down with injury earlier in the season, Michael Del Zotto was played like a bonafide number one defenceman. Ben Hutton also received a plethora of ice time early on, while Troy Stecher solely received even-strength playing time. You could argue that Green didn’t handle his usage of these three defencemen well as the season went on. While Del Zotto’s ice time dipped, he was always played over Hutton despite most metrics pointing to Hutton being a better defenceman. Del Zotto was tops in the league in terms of Corsi against and goals against at even strength, while Hutton was best on the team in both of those categories early on. Still, it was Hutton who the coach decided to chastise throughout the season, up until the bitter end. 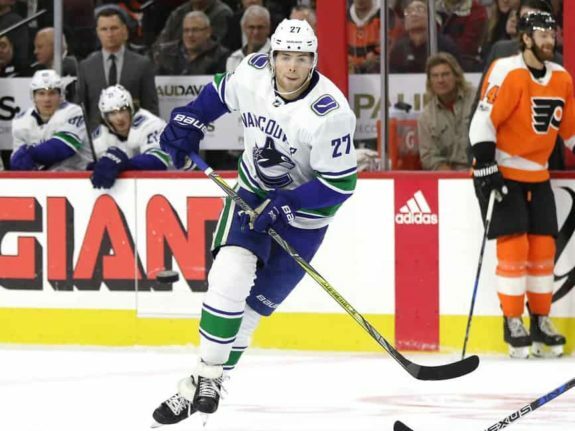 While being out of shape in March is a problem, Green single-handedly derailed Hutton’s confidence while the inept Del Zotto got off scot-free. The decision to hardly play Stecher early on was also questionable. 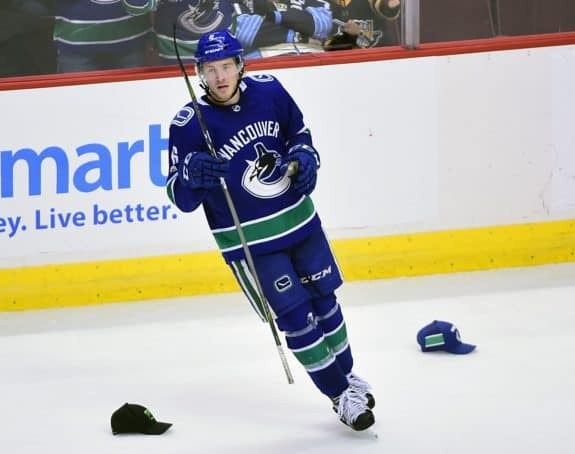 He was voted as the Canucks’ best defenceman in 2016-17, but Green had him firmly as the Canucks’ sixth defenceman on the depth chart. Stecher ended up as one of the Canucks’ most-used defencemen, but the process that it took to get him there was iffy. He really only saw his ice time spike after Chris Tanev and Erik Gudbranson were injured. While his handling of the defence was odd, Green handled almost everything with his forwards well. There are some flaws, like the overuse of guys like Brandon Sutter, but in general, he squeezed as much as he could out of this group. For the first time in a decade, the Sedins were relegated to bottom-six guys at even strength. That was a necessity as they slowed down during five-on-five play. The Canucks also needed to move forward with better options at even strength. Bo Horvat was finally put in situations to succeed as well. Under Desjardins, Horvat was primarily used in the defensive zone, but Green did a good job of freeing him up. It led to Horvat posting a career high in goals despite missing almost two months of hockey. Although Brock Boeser started as a healthy scratch, he quickly ascended up the lineup due to his outstanding rookie campaign. It quickly became a no-brainer that he needed to play lots on a nightly basis, and Green obliged. Where Green might have been judged most with his work was with Jake Virtanen. 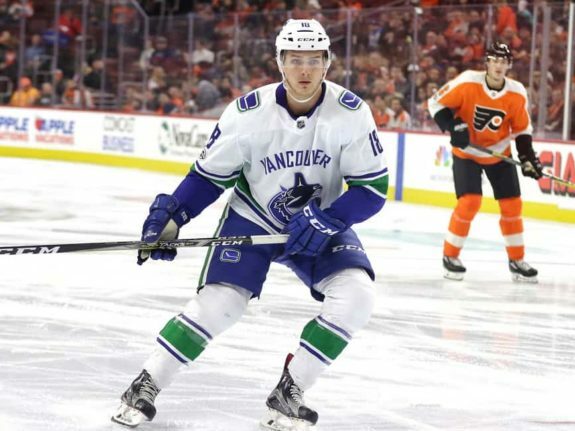 Although Virtanen had indifferent play throughout the season, it looked like everything Green was preaching to the young winger paid off over the last 15 games. Virtanen wasn’t as erratic as he was early on, and flat-out dominated during stretches of hockey. Green did have a full year of Virtanen in Utica last year, and it looks like his work with the Abbotsford native is finally paying off. There were some other small caveats, such as Green’s apparent dislike of Markus Granlund, but overall, he did a good job of utilizing his forward core. That will become even more pertinent next season as the Canucks begin life without the two most storied players in team history.